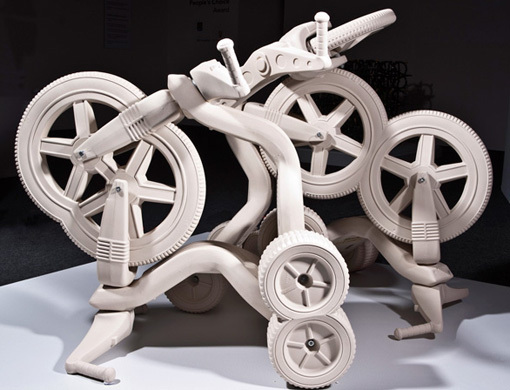 Jeremy Hatch is a Vancouver-based artist, recently transplanted to Bozeman where he is an Assistant Professor of Ceramics at Montana State University. Hatch's recent installations - a life-size swing set, camp site, and tree house - employ the cultural associations of porcelain to invoke a range of conflicting responses. In representing familiar childhood experiences, he seeks to question the nature of nostalgia and the in/authenticity of memory. Occupying both social and solitary space, his sculpture are simultaneously monument and souvenir-a mnemonic device that awakens feelings of loss and longing. Jeremy attended residencies at the Takumi Studios in Japan, the European Ceramic Work Centre in the Netherlands, Watershed Center for the Ceramic Arts, and the Archie Bray Foundation, where he was the recipient of the 2007-2008 Taunt Fellowship. In the summer of 2011 Jeremy participated in Kohler's Arts/Industry Residency Program. He has taught courses at Interlochen Center for the Arts, Emily Carr Institute of Art and Design and the Rhode Island School of Design.